Results of a study by the Institute of International Education of 4,500 students since graduation in 2000 it was found that time abroad made students more likely to have the 15 career skills which are most valuable to employers. These skills include self-organisation, communication, resilience, confidence and cultural awareness. Universities UK found that students who spend time abroad are 24% less likely to be unemployed than those students who remain in the UK. They’re also more likely to have the job they trained for or a graduate level job straight out of university. Students who study abroad earn an average of 5% more than those who don’t and with an average graduate income of £30,000, that’s an extra £1500 a year which could result in earning £75,000 over your lifetime. You’ll also gain transferable skills such as learning to socialise in a whole new city. As well as dealing with the logistical challenges of living in a new country. This develops great communication skills and adaptability. As a result, you’ll be more confident if career opportunities arise in different cities throughout your career. For many, time abroad is a way to give back. Whether that’s offering your skills as a medical student to disadvantaged hospitals or helping with vital conservation work. Discover the amazing places you could visit while boosting your future career potential. The medical profession is highly competitive and making your CV stand out can feel like a challenge. 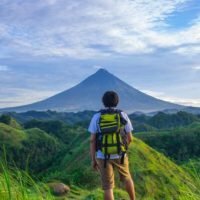 Time abroad can both make you a more unique prospect to employers and give you a chance to help others. Operation Smile states that 2 billion people lack access to any surgical care and of the 234 million surgical procedures every year, just 4% goes to the poorest third of the global population. Using your elective to volunteer in South Africa allows you to experience a different medical setting while giving back. Medical students can use their much-needed knowledge to help some of the world’s poorest people. Most clinical facilities for those who can’t afford private medical care are understaffed and underfunded. This means that volunteering will have a huge impact on the lives of those you help. It will also prove your ability to adapt to a challenging workplace. Medic Footprint offers volunteering opportunities in South Africa, for example at Lily of the Valley an orphanage for children infected with HIV. There’s no denying that business is global and as the second largest economy in the world, China offers endless business opportunities. Learning Mandarin could really help with making a CV stand out too and as Chinese is the most widely spoken language in the world, learning the language would improve your career prospects even further. The economy is rapidly developing in China and there are opportunities for students across all areas of business including HR, Finance, Accountancy, PR and much more. Projects Abroad offer a wide range of options for aspiring entrepreneurs of all disciplines. Conservation is a growing industry as concern grows for animals and the environment. Making the most of opportunities overseas could both improve job prospects and offer a once in a lifetime experience. Madagascar is the fourth largest island in the world and 90% of its animal species and 89% of its plant species aren’t found anywhere else. This means experience there would be a sure fire way to make an interviewee stand out. Projects Abroad offer conservation trips from one to nine weeks in length, a perfect summer break or gap between graduation and starting a new career. The world of art history can be elitist and tricky to get into. However, experience in one of the great art capitals is sure to help get a foot in the door. From ancient and classic sculpture to modern day art, Italy is the perfect place to learn and gain an even greater passion for art history. A trip to Italy could fit in as part of a degree or as a fantastic way to start or finish time at university. Art History Abroad specialises in art history gap years and has scholarships available for up to two weeks of study. Humanities programmes in the US allow students to combine different subjects such as Literature, History and Sociology. This is something that only a few UK universities offer, therefore it’s a great opportunity. Plus three of the top five universities for art and humanities are based in the US, with the University of California coming in top. America offers a vast array of historical and literary studying options. From the home of the great American novel or study the development of American politics from its very beginning. This time abroad will open up options whether students want to go into academia, journalism or teaching. Experiencing a new perspective and gaining some work experience while in America will certainly boost long-term job prospects. Teaching cultures vary massively across the world. For prospective teachers, time experiencing another way of doing things can help fast track them to a higher role. As Australia is an English-speaking country teaching skills can be easily transferred. There are a wide variety of lifestyles and schools in the different areas of Australia. As an English speaking country, this also reduces the number of qualifications you need to teach there. If you decide to stay in Australia long term, new teachers can expect to earn £40,000 – £42,000 compared to the £22,000 starting salary in the UK. All class sizes are also capped at 25 but the average class size is just 16 in Australia, making them much smaller than the maximum of 30 students in the UK. Australia also maintains a very high standard of living and although the cost of living is high, a gap year or few years teaching there can be a great way to experience this way of life in the short term. Companies such as Latitude can place education students in a school assistant role and make sure they have the best possible experience. Plus, who doesn’t love the idea of learning to surf at the weekends? Or exploring Australia’s wonderful culture – and seeing a kangaroo, of course?